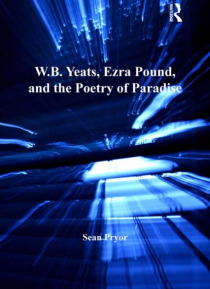 Emphasizing the interplay of aesthetic forms and religious modes, Sean Pryor's ambitious study takes up the endlessly reiterated longing for paradise that features throughout the works of W. B. Yeats and Ezra Pound. Yeats and Pound define poetry in terms of paradise and paradise in terms of poetry, Pryor suggests, and these complex interconnections fundamentally shape the development of their art.… Even as he maps the shared influences and intellectual interests of Yeats and Pound, and highlights those moments when their poetic theories converge, Pryor's discussion of their poems' profound formal and conceptual differences uncovers the distinctive ways each writer imagines the divine, the good, the beautiful, or the satisfaction of desire. Throughout his study, Pryor argues that Yeats and Pound reconceive the quest for paradise as a quest for a new kind of poetry, a journey that Pryor traces by analysing unpublished manuscript drafts and newly published drafts that have received little attention. For Yeats and Pound, the journey towards a paradisal poetic becomes a never-ending quest, at once self-defeating and self-fulfilling - a formulation that has implications not only for the work of these two poets but for the study of modernist literature.